The announcement of the six charters receiving final approval to open in September was four days off schedule. The press release is full of platitudes about how well vetted these schools were, and how confident Commissioner Cerf is that these schools will be stellar. "We must hold a high bar for any school that serves New Jersey students, and we are confident that these schools have the academic and operational components in place to provide a high-quality choice on day one," said Commissioner Cerf. It's going to take me a while to demonstrate how the approval of Jersey City Global Charter School (JCGCS) proves, without a shadow of doubt, that these words are absolutely meaningless. I hope you'll stay with me until the end, cause it's a hell of a story. And it starts in St. Louis, MO. At the end of the 2011-2012 school year six Imagine Schools charters were shuttered in St. Louis. Those six schools enrolled 3,800 students, approximately 11% of the city's school children. In fact, the decision this week by Missouri's Board of Education to shutter six Imagine charter schools in St. Louis will likely result in the largest charter school closure of its kind nationwide, according to the National Alliance for Public Charter Schools. "This is definitely one of the biggest that I'm aware of," said Todd Ziebarth, of the alliance. "It's complicated enough when it's a single school of, lets say, 300 kids." The schools were closed by the Missouri Department of Education for a combination of poor academic performance and fiscal management. The St. Louis Dispatch, particularly education reporter Elisa Crouch, did an incredible job of publishing every detail of Imagine's betrayal of the public trust. An editorial titled "Children deserve better than real-estate scams disguised as education," published well before the decision to shutter the schools, left no doubt that Imagine Schools was running a scam on the people of St. Louis. When it comes to slick property deals that use public money to enrich private investors in real estate trusts, Imagine Schools Inc. of Arlington, Va., has been clever and creative. When it comes to ensuring that non-profit boards of charter schools don't interfere with Imagine's for-profit business, the national management company has been disciplined and focused. But when it comes to actually educating children, Imagine has been betraying the trust of thousands of St. Louis kids who are eager to learn — like the child in Christian Gooden's photograph with this editorial. Imagine has betrayed the trust of parents who thought that Imagine would provide a good education and give their kids a chance at a better life. I was riveted by the story, and followed it closely. Especially when I saw this. Ms. Crouch also reported on Imagine's unsettling relationship with Samuel Glasser, a local real estate developer and convicted felon. He has been involved in Imagine's convoluted property transactions and renovations at some of its local schools. Ms. Crouch discovered records for historic renovation tax credits for Imagine buildings that showed thousands of dollars of payments to a New Jersey bank and referencing the name "Sam Howard." A Samuel Howard is an Imagine executive vice president with responsibility for company operations in Missouri, Georgia and the northeast U.S. When I read that the man at the center of this debacle was from New Jersey, my radar went off and I started to research if Imagine had set its sites on my home state. And sure enough, they had. And none other than Sam Howard, the guy accused of taking kickbacks from a 'real estate developer and convicted felon' was the one doing the leg work. Here's what I found in a Star Ledger article from October 2010, a short year and a half before the announcement of the St. Louis closure, about charter applications that had been submitted to the NJDOE. Just ONCE I would really appreciate it if my suspicions weren't confirmed. JUST ONCE! Look Out Jersey City, You're Next! And sure enough, I looked at the applications in those four districts, and Sam Howard's name was on a document submitted with the JCGCS application regarding the lease for their proposed facility. Howard was meeting with and negotiating the deal with the Jersey City Redevelopment Agency on behalf of JCGCS. Notice that the letter confirms that the property will be leased to Imagine, but JCGCS will be the 'actual tenant.' In April of 2012 the New York Times published a scathing article about Imagine Schools, detailing how they conduct their real estate transactions. Finance page of their website! Here is Imagine's description of how Schoolhouse Finance works. Schoolhouse Finance generally leases the buildings for at least 15-25 years in order to provide a long-term, stable location. The individual school then sub-leases the building from Schoolhouse Finance only for the period that its individual charter is valid (usually 3-5 years). Therefore, the school is not taking on a bigger or longer term obligation than it can handle, and the financial burden of securing a stable, long-term and high quality building is shouldered by Schoolhouse Finance. Sounds almost altruistic when they describe it, right? Except here's how it played out in St. Louis. All six Imagine charter schools in St. Louis are paying a higher percentage of their budgets toward rent or mortgages than any other charter school in the city. 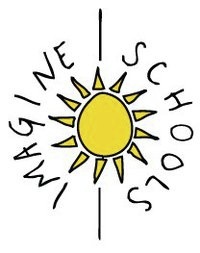 For example, the three schools that operate under the Imagine Academy of Careers charter spent almost 21 percent of their revenue on rent in the 2009-10 school year. In contrast, City Garden Montessori spent less than 4 percent of its revenue that year to rent part of Tyler Place Presbyterian Church on South Spring Avenue. Imagine officials stand by their real estate strategy, saying it produces a respectable environment for its schoolchildren. There is our friend Sam Howard again, and there is another big piece of the puzzle. The six Imagine schools were the lowest performing in the city, and all six of them were paying the highest rents in the city. To me, if you want to treat a kid like a "first-class citizen" you provide them with a solid education, not an over priced facility that enriches the bottom line of a CMO. Makes it pretty clear where Imagine's priorities lie, doesn't it? But let's get back to JCGCS. The charter was approved in January of 2012. This was just two short months after Howard was placed on administrative leave in the wake of the kickback allegations and just three short months before the decision to close them all down. Did the NJDOE just miss the fact that the man and CMO negotiating the lease for JCGCS founders was at the center of the nation's largest charter school failure, or did they just not care? For undisclosed reasons, Imagine Schools didn't "ultimately chose to pursue" any of the charters they were assisting with applications in 2010, including JCGCS. This was confirmed for me via email by Rhonda Cagle, Imagine Senior Vice President of Communications. Cagle also confirmed that Sam Howard is "no longer employed with Imagine Schools." Athena Community Education Partners (ACEP) Management Group. And sadly for Jersey City, ACEP has been hired to manage JCGCS. Seems he established his relationship with JCGCS as an Imagine executive, and cemented it with his own newly formed CMO. Which again, begs the question, has the NJDOE not figured this out, or do they just not care about Howard's past in St. Louis with Imagine? Angie Chiaravalloti, another former Imagine employee, is also listed on the JCGCS website as an employee of ACEP. Just like Howard, there is no mention of her time at Imagine in her bio. Why are they burying their Imagine pasts? Rhonda Cagle confirmed that Chiaravalloti is no longer employed by Imagine, and that Imagine has "no relationship with Athena Community Education Partners." As a point of interest, Sam Howard's wife, Paula Howard, is the former Superintendent of Plainfield Public Schools. 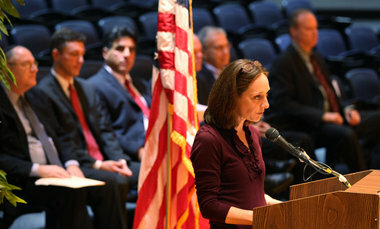 Surrounded by speculation, and some controversy, Paula Howard resigned her position in June of 2007. In 2006 Chiaravalloti was listed in board minutes as Paula Howard's Chief of Staff, and when Paula Howard resigned, so did Chiaravalloti. Prior to their employment in Plainfield, records show Paula Howard and Chiaravalotti were employed together in the Newark Public Schools as far back as 2002. The Howards go back well over a decade with Chiaravalotti. She seems to always be in a slightly subordinate position to one Howard or the other, and she seems to follow them from job to job. The fact that not one but TWO ex-Imagine employees have hung up a shingle in New Jersey is troubling, to say the least. Imagine has developed quite a national reputation, and as you can imagine, it isn't good. While St. Louis may have been their biggest disaster, they have faced smaller closures in other states as well, such as Indiana and Florida. And when Imagine was trying to open a school in Pittsburgh (again, our friend Sam Howard was on the scene) the good people of that city were VERY wary. Clearly education professionals around the country are wary of Imagine because of their track record of poor performance and financial management. But Imagine has also become rather infamous for controlling every detail of the schools they manage, to the point that the local boards have little to no say in what happens in the school. Back in 2008 Imagine CEO Dennis Bakke (pictured above with Sam Howard) sent a hair raising internal memo regarding the role of board members in charters managed by Imagine Schools. (Note that Sam Howard is cc:ed on the memo) I highly suggest you read the whole thing, but here are a couple snippets to whet your appetite. None of this will protect you from the person who starts out as an "advisor", but becomes a major problem, thinking he/she are crucial to the success of the school. Sometimes you can protect yourself from board members that you chose, by getting undated letters of resignation from the start that can be acted on by us at any time would also help. Some states allow "founding" boards that can be changed once the school starts. That is a good idea if we can control who stays and who goes. Maybe you make all terms one year (if legal) so that we can re-nominate who we want. Make it clear that we will propose all new board members. Again, when the legal rules seem contrary to what I have been suggesting, seek lots of advice about how to set up the board before you select members. No matter how many times I read this memo, I just can't believe it. These are public schools, teaching public school students with public dollars. Yet the money and the children are being hijacked by a for-profit company that fails children but makes millions on real estate investments. The memo was egregious enough to get the attention of National Association of Charter School Authorizers Greg Richmond, who blasted Bakke's statement, "It is our school, our money and our risk, not theirs." He's wrong. It is a public school, it is the public's money, and the risk is being borne by thousands of parents and students who enroll in an Imagine School. For once I actually agree with Greg Richmond! He goes on to define what the role between a board and a management company should be, and all of his suggestions make perfect sense. And they are diametrically opposed to how Imagine Schools run their charters. When asked about the memo, Howard had a curious response. Imagine executive Sam Howard says the CEO's e-mail was merely his "opinion." "His opinion and the way the schools operate are two different things," he says. After all, he says, local board members "are the boss. How can you tell your boss what to do?" Howard is clearly a master of towing the party line, but it has become common knowledge that Imagine Schools is "the boss" at most of their schools, not the board. 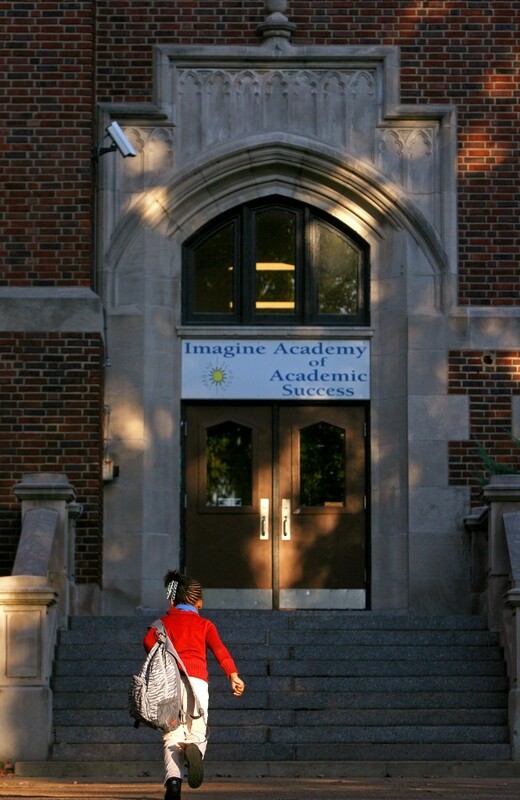 Check out this piece about a few Imagine charters in Indiana which confirms the degree to which Imagine controls the boards of the charters they manage. For all three schools, no local board has ever taken bids from other management companies, publicly debated Imagine's contract or publicly voted on approving it. Imagine officials filed the incorporation papers for each, applied for tax-exempt status for each and applied for the charter for each. Greg Richmond, president of the National Association of Charter School Authorizers in Chicago, said it appears Ball State, which granted Imagine's charters in Fort Wayne, failed in its duty to ensure local control. "That is absolutely unacceptable," Richmond said. "If the governing board is compromised, from that point on everything else has the potential to be compromised." Huh, kind of sounds just like Bakke's memo, doesn't it? As Sam Howard told the Star Ledger, Imagine was involved in the application process for several charters in New Jersey, and clearly, JCGCS was one of them. Yet Imagine is not mentioned ONCE in the application. Why is that? Why did the founders of JCGCS not reveal Imagine's involvement in the application process more directly? The application does make it clear that there will indeed be a CMO, it just pretends that there will be a Request For Proposal to select one. Check out the lengthy list of responsibilities for the CMO. The application claimed a CMO had yet to be selected, but a pretty hefty figure for an "operating fee" is in the budget. In fact, it is the second largest line item, second only to teacher salaries. It seems pretty clear that Imagine was well positioned to be the CMO for JCGCS, even though the founders were not forthright with this information in the application. After all, it's Imagine's school, Imagine's money and Imagine's risk, not JCGCS's. So what happened? How did Howard's ACEP get the gig and not Imagine? And why did Imagine pull out of New Jersey all together? I have written pretty extensively about the bromance between Commissioner Cerf and Greg Richmond. They are partners in NACSA's One Million Lives campaign, and Richmond wrote a presumptuous op-ed about how New Jersey should move forward with our charter program. Richmond has spent an inordinate amount of time heaping praise on Cerf, and vice versa. The latest NJDOE press release linked above says the department "increased its oversight and accountability for charter schools" thanks to their "partnership" with NACSA. And as demonstrated, Richmond is no fan of Imagine. My guess is Richmond has put them on the national naughty charter list, and in turn Cerf made it clear that Imagine Schools was not welcome in New Jersey. NACSA has made the St. Louis Imagine Schools closures a central focus of their One Million Lives campaign. In fact, the closure was the subject of an entire panel discussion at NACSA's 2012 conference. The panel was VERY revealing, both in terms of what went wrong with Imagine in St. Louis, including some pointed dialogue about Sam Howard, and how to avoid another mess like this in the future. At about 10:15 in this video, in response to a question from an audience member, you can hear Robbyn Wahby, education liaison for St. Louis Mayor Francis Slay, clearly state that Sam Howard was under investigation for his dealing with one of Imagine's developers. Question: The panel eluded to the fact that the management of the school was, dare I say, incompetent. So my question is, did any of the school's management rise to the level of criminality, and if so, what can be done about it now that the school is closed? Wahby: Well, actually, I think there is an investigation ongoing on one individual. Through the reporters investigation found that one of the regional managers -- the regional manager -- actually took money from a developer that was helping with their real estate issues. So that's actually been under investigation, and so has the developer. Doug Thaman, executive director of the Missouri Charter Public School Association, also participated in the panel and at about the 10:00 mark he had some fabulous advice about how to avoid another St. Louis/Imagine debacle. I think this quote from Thaman is crucial to understanding why it is such a huge mistake to give JCGCS the green light with Sam Howard at the helm. From what I have seen there is nothing in the JCGCS application that can possibly overshadow the fact that they have made the woeful decision to hire a CMO run by the man central to the mismanagement of six schools that lead to the largest charter closure in US history. This school SHOULD NOT be allowed to open with ACEP as the CMO. There may be another role for Howard in education, but he SHOULD NOT be allowed to manage another charter school. If the NJDOE believes he should be allowed to manage a charter school in New Jersey, I for one would like to hear them explain why. Commissioner Cerf and his Office of Charter Schools need to do more than just throw words like "accountability" around in press releases. "Accountability is important, and we have and will continue to hold every charter school accountable both for the quality of its educational program and for equality of access to all students," said Commissioner Cerf. Now would be a great time to put those words into action and insist that JCGCS ditch ACEP or not open. Why Did JCGCS Get A Final Charter? I think the simplest answer to this question is that Doug Thaman is right. Despite the hollow reassurances from Commissioner Cerf and Greg Richmond that New Jersey is engaging in quality authorizing, it just is not so. The NJDOE is not paying NEARLY enough attention to the applications that are coming though their office. As we saw with the circus called the Regis Academy Charter School, the NJDOE can miss some pretty big warning signs when approving applications. And as we also saw with Regis, it sure doesn't hurt to be a friend of Governor Christie's. Remember this oldie but goodie? At a Town Hall meeting in Voorhees, Chris Christie denied he knew Amir Khan, the lead founder of Regis Academy, as Khan sat right behind him on the dais. Amir Khan was not the only friend of Christie's to get a charter school. Several other members of the Black Ministers Council were also awarded charters. It appears Christie may be up to his old tricks. One of the board members of JCGCS is Jose Arango. This is from his bio on the charter's website. He served as a Senior Advisor to Mayor Bret Schundler for the City of Jersey City and as the Director of Business Development and Retention for the Department of Housing, Economic Development & Commerce [HEDC under Mayor Glenn Cunningham. Mr. Arango is also an adviser Pro-Bono to Governor Chris Christie on Urban Policies. Well, isn't that cozy. Arango is a self-proclaimed adviser to the Governor. (I can't find any mention of Arango on the state website) Mr. Arango also happens to be the Chairman of the Hudson County Republican Party, and a big Christie supporter. Christie said he expects not to win Hudson County but feels it is important to get votes here, with Hudson County Republican Party Chairman Jose Arango calling Hudson County "Christie country." "We are going to do much better in Hudson County than past candidates because of support from people like Jose and because of the people running with me," Christie said. Arango would not be the first influential Latino to get favors from the Governor in exchange for a chance to draw in more Latino voters. Martin Perez, a democrat who crossed party lines to endorse Christie, was recently sworn in as a member of the Rutgers Board of Governors, over the objections of Senators Sweeney, Smith and Buono. Did Arango's connection to Governor Christie help JCGCS get its final charter? Who knows, but it's sure does seem to be good to be a Friend of Chris Christie! The NJDOE demonstrates time and time again not only that they are incapable of properly vetting charter applications, but that many charter approvals in this state seem to have more to do with who you know that what you can do for kids. I plan to continue to investigate this charter, but I call on education reporters in this state to do so as well. Howard's involvement in JCGCS and the results of the investigation into his activities in St. Louis, must be explored. As an unpaid blogger my time and reach is limited, but there is a huge story here, and it needs to be told fully. If allowed to open, JCGCS will be managed by a man who is culpable for short changing and disrupting the education of 3,800 St. Louis students. It is simply unconscionable that the NJDOE missed this in their preparedness review, and went ahead and granted them a final charter. And as usual, it will be the kids who suffer. Looks like Jersey Jazzman and I may have hit a bit of a sore spot for Pitbull and his pal Fernando Zulueta. You see, Pitbull's pal Ferny is the CEO over at Academica. Academica is running the charter Pitbull is pimping. Academica makes A LOT of money off of charter schools. Ferny introduced Pitbull at the National Alliance for Public Charter Schools Conference, and Jersey Jazzman and I took some time to point out that Secretary of Education Arne Duncan was speaking at a conference with a guy who seems to be less than a stellar role model for kids and a kind of odd cheerleader for the charter school movement. And it looks like our work didn't go unnoticed. Of course, not everyone thinks that Pitbull is a good spokesperson for education. Policy reform blog "Mother Crusader" thinks "it is simply mind boggling that Pitbull has been given a charter school in Miami," while the National Education Policy Center questioned the rapper's "misogynistic lyrics and dubious personal behavior." 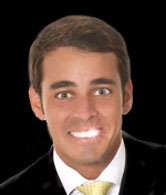 Enter State Rep. Eric Fresen. State Rep. Eric Fresen? Who is he and what the heck does he have to do with Pitbull? Looks like a real sincere guy, right? What did this elected official have to say about Pitbull? State Rep. Eric Fresen, a Miami Republican who has family and financial ties to Academica, said the rapper’s support is based on his personal experience. “Armando is a family friend and, more importantly, has three children in high-performing charter schools and believes in them,” Fresen said in a written statement. You caught it, right? The family and financial ties to Academica part? Perhaps there really is 'no financial motivation' for Pitbull (I really doubt it), but there sure is for Ferny, and apparently for Rep. Fresen as well. 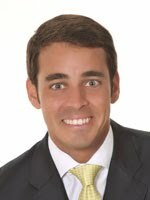 Academica’s closest ally in the capital is in the family: Rep. Erik Fresen, a Miami Republican, is the brother-in-law of Fernando Zulueta, Academica’s CEO. Zulueta is married to Fresen’s sister, Maggie, who also is an Academica executive. Fresen himself is a former Academica lobbyist. He now earns $150,000 a year as a land-use consultant for Civica, a Doral architectural firm that has built several schools run by Academica — including schools on land controlled by the Zulueta brothers. Civica has ongoing contracts with many of these schools. While working as a consultant for charter schools, Fresen has been their champion in the Legislature, where he sits on a key education committee in the House. And to top it off, ethics charges were filed against Fresen for his failure to disclose his relationship to Academica prior to a vote on a bill allowing charters to expand and add grades. Trish Thompson, who filed the complaint, said “Fresen failed to declare a conflict of interest prior to casting a vote” in a House Education Committee meeting on April 20. Fresen voted on a bill (HB 7195) that expands charter schools, allowing highly-rated schools to expand and add grades. “He also participated in the promotion of amendments that would enhance his relative’s ability to profit from ‘for-profit’ management company charter schools,” she said. Thompson says Fresen’s actions are unethical because they violating a state law that prohibits elected officials from voting any measure which could help or hinder any relatives or business associates. Making that stick could be tricky. The language in the state law limits a violation to legislators who take action to benefit just themselves or their family, but nobody else. Oh, well why didn't you say that in the first place? As long as it benefits ALL charter school operators, that makes it just fine! How gross is that? He voted on a bill that would help his sister and brother in law make more money without disclosing his conflict, but it's OK in Florida because they're not the only ones who will profit from the law. Ew. A CEO making millions off of charter school construction brought misogynistic rapper Pitbull to a national charter school conference to grow his brand, and when a couple education bloggers cried foul, the brother-in-law of the CEO, who happens to be an ethically challenged member of the Florida House of Representatives, sang Pitbull's praises in the press, swearing his aim is true. How blatant does this stuff have to get? Our schools are being sold out by businessmen like "Ferny" and Pitbull and politicians like Fresen. And they're smiling all the way to the bank! that named Fresen their 2011 Shill of the Year! So, July 15th came and went. It's supposed to be the day approved applicants are granted their final charter and cleared to open in September. But nothing. No announcement. Nada. According to the state, there are 9 charters pending in New Jersey. Atlantic City Community Charter and Camden Community Charter were scheduled to open in 2011 but needed two planning years to get off the ground. Maybe 2013 will be their lucky year! Saint Phillips Academy will be the state's first conversion of a private (religious) school to a charter school. Paterson Arts and Science was one of two Paterson applications approved in February. Hop over to my friend Jersey Jazzman for the skinny on this Gulen charter. Quite a line up so far, eh? Two charters that have taken not one but TWO planning years to get off the ground, a former Catholic school and a Gulen charter. The rest of the charters 'pending final approval' were given the go ahead in January 2012. They should have opened in September 2012 but were granted an additional planning year last July when the Commissioner cleaned house and got rid of a significant number of pending applications that had either become dead wood or too controversial. But let's go back to the fact that the decisions should have been announced yesterday and the state didn't make a peep. Look at the timeline above. Not only are charter applications due on a specific date, but by a specific TIME. If they aren't in, you lose. Your application is disqualified. But the state misses their deadline on the timeline, and that's just fine. The NJDOE claims the announcement will be made before the end of the week, and you better believe I'll be waiting. And be prepared for some fireworks from me after the list is released. I've been doing some research on one of the charters pending approval, and let's just say, it's a pretty spicy story. Pitbull opened the 2013 National Alliance of Public Charter Schools Conference with what he referred to as his "first major speech." According to the Washington Post, he was introduced by none other than Fernando Zulueta, President of Academica, the for-profit charter management organization that will run Pitbull's charter school, SLAM. The Miami Herald called Academica Florida's richest charter school management firm. Academica’s achievements have been profitable. The South Miami company receives more than $9 million a year in management fees just from its South Florida charter schools — fees that ultimately come from public tax dollars. Pitbull thanked "Ferny" for his introduction. So Pitbull is tight enough with Academica president Fernando Zulueta to call him "Ferny." 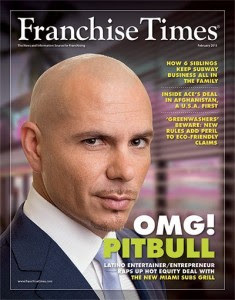 "Ferny" is making a KILLING on charter schools, and with Pitbull as his spokesmodel in Florida, I am sure he is quite confident the money will just keep rolling on in. Pitbull opened his speech with a joke to break the ice. But speaking of that, they told me that Bill Cosby has spoken here before, which I think is amazing. Somebody that I really relate to. I also love Jello. Ha ha! I'm just getting started! Bill Gates; phenomenal, incredible. I relate to Bill Gates. We're both very... good looking. And Bill Clinton. You know, I really relate to Bill Clinton... (laughs from audience) We're both musicians." In that single joke, Pitbull equates himself with Bill Cosby's product endorsements, Bill Gate's money, and Bill Clinton's womanizing. But, if you're willing to believe it, the Zulueta's, with the help of the National Alliance for Public Charter Schools (NAPCS), want us to believe that Pitbull is about education, too. Except, THAT part of his speech didn't sound like it was coming from the heart. Even Pitbull didn't seem to think the audience would buy it. As he launched into the written part of his speech he sort of slipped. ...and this is the truth. It may sound a little written, but it's not, I promise you, OK? This is everything that we put together. The rest of Pitbull's speech is an odd mish-mash of him reading reformy sounding lines like that one from the speech 'they' put together, and a more natural free-style riffing that seemed more genuine. But it looks like at one point his free-style may have gotten a bit too spicy. At about the 7:50 mark you'll notice he says he's going to quote from one of his songs and the video is quickly edited. Maybe he slipped into some of the less savory lyrics Jersey Jazzman has been posting? It's just hard to buy into Pitbull's transformation from Hustler to Charter Advocate. But then again, even his bio on the NAPCS website is all about the numbers he can bring in. Miami-native Armando Pérez (Pitbull)—also known as "Mr. Worldwide" and "Mr. 305"—is a globally successful musician, performer, business entrepreneur, fashion icon and actor whose career sales exceed 5 million albums and 40 million singles worldwide. Pitbull has had #1 hits in more than 15 countries and his videos have been viewed more than 3 billion times. His world tour sold out concerts in Latin America, Canada and Europe, before bringing the party to the United States, Japan and Australia. Mr. Pérez’s commercial success has solidified his influence in his hometown community. He is making the most of his position as a civic leader in Miami by opening the Sports Leadership and Management (SLAM) charter school for youth of the city. Yeah, see, I don't buy it. This charter school thing is just another product for Pitbull to cash in on. His good friend "Ferny" is making a killing on charters, raking in millions of tax-free tax dollars! There's no way Pitbull's not jumping into the charter school hustle in "exchange for equity" in Academica. But he certainly can't come out and say that. Instead, we get this. I am sure it has been no problem for Pitbull to 'adapt' to the role of charter advocate. And I'm sure "Ferny" knows that Pitbull will draw countless new students into his charters. And more schools means more buildings, and more buildings means more money. Just listen to how the people of Miami talk about Pitbull. In an interview after his speech Pitbull was cagey about his involvement in SLAM. "Getting people involved" is certainly Pitbull's specialty. 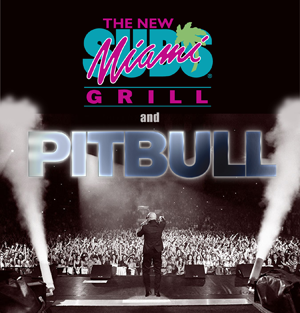 This is from an article about Pitbull's 'HOT equity deal' with the Miami Subs Grill Franchise. “Miami works on the following (premise),” Louis says, “Who knows who.” Thanks to Louis, and now Pitbull, Miami Subs execs will know a lot of “who’s who” in town. If you believe Pitbull's newfound charter advocacy is about the kids, then I have a Miami Sub I'd like to sell you. If I were living in Miami, you better believe I'd be digging into how much money is being shuffled around to get one of the world's "most aggressive celebrity brand and product endorsers" to sling charters to parents and students. Charter chains are really just education franchises, right?